I tried to correct a simple typo on the Mage page (it's really obvious; the sentence cuts off halfway at &quot;However, it is not easy as on&quot; ), and my submission was rejected after a full day delay. I also tried to update some of the skills pages, adding the skill icons to the names, as well as adding a clear link to the pages which show all the skills (do people realize there are two pages for each class; root and primary, with different links? It's really confusing). However, there's no means to preview, and no tab on the site to explain how this engine parses formatting. It's essentially impossible for a newcomer to create or properly add to a meaningful contribution, since the bot will reject everything. I'm therefore curious, is this site meant to be a public wiki? Or is it a private site with a public forum, which uses a wiki engine? (This is what it seems to be). Also, there are some other issues, like it seems to be encoded in ASCII or something, so that a number of international symbols (esp. Korean) are not being accepted, even in chat. It would be really helpful to have some way to directly reference the source text for content and statements, without using screenshots. If it's really meant to be a private site, it's certainly understandable, but it's not presented as such, so I've become repeatedly confused and frustrated with attempts to contribute or update content. This includes things like typos, updated skill info from CBT (esp. 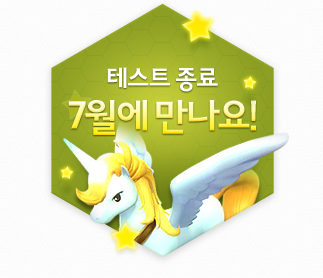 including information like cooldowns), full skill scaling per level, and many other useful pieces of information that are already on many other MS2 Wiki sites. We haven't gotten an official word from Nexon. Any &quot;information&quot; that's out right now is simply rumor. There is no Global MS2 website, so why or how in the world would they plan to release a game in July if their site isn't even up yet? Also, July is simply too soon for an English version of the game to be released. There will most likely be beta tests for the Global region-- whether or not they will be closed or open is beyond me, but I can almost guarantee that there will be betas for us as well. At the very least, one test. It is only confirmed that there will be another 'test' in July. But nobody knows what kind of test. It might be open beta, but then again, its for Korea only. 99.9% it is! I've said hi through Supporters days and G star but I never did through the main page. It's nice to meet you all even though this is just a letter. It's been almost 1 year and 6 months since I've posted something on the main page. Thank you so much to all of you who's kept in interest and participated in this tests. When the final tests finally ends, our team will proceed to make final changes. We will try our best to make this game more enjoyable. We will try our best to make this game to be the one that people can come in to just simply enjoy, to play with their friends and to relieve their stresses. Hopefully you can forget about all these heat from playing this game. I don't know if i feel positive or negative about this.. They are talking about official release, so that's great. But there is no official english site yet. So that does mean the official release is only for Korea. If this comes out in July for Korea. I would presume that if there is no world wide release set up. Which it looks like it's not going to happen anymore then it's most likely going to be Nexon NA big winter update so to speak. Yes this isn't an update but the Summer and Winter are the biggest times of the year where they do big updates to games or release new games. I don't see why it would take any longer. i can almost guarantee that Nexon NA already is working with KR to get this game over in NA asap. Since MapleStory is there flagship game and MS1 is slowly slowing down it be stupid if they arn't already working with Korea on bringing this game over. It won't be years before NA gets this game. As the years go by technology has increased so much and brand new mmos been coming out faster than ever. Very few games taken years to localize. That being said I say at the very latest NA should get some kinda of news at least if not beta by end of Fall toward December. I think that its going to be december before we see any english betas. A lot of people on here are hoping that Nexon is just staying silent and just going to surprise us in july and be like &quot;FOOLED YOU GUYS, NA RELEASE HERE YOU GO&quot; But I dont think they like us that much. The hype isnt even here yet, i know a ton of people who havent heard a single thing about maplestory 2. These are the people who dont go looking for the game because they saw a video years ago about the game and just put it in the back of their minds. These games take a lot of time to get going, especially when they start in asia first. We can guess to see the NA version of MS2 released close to a 2 year timeline. @Kattt It really depends how much of the population in NA wants MS2. @Flare MapleStory in general is popular still lmao. It won't take 2+years. It's almost guaranteed now that NA is doing there best to bring this game over since the last video was shown about how they are going to do there best to bring MS2 over to NA as soon as possible. That being said I don't think it will be later than a 2016 release. You be surprised actually how many people like MapleStory 2 and MapleStory in general. Just because the comments you read on youtube and basil market are negative toward MS2 does not mean everyone hates the game. Most are just saying that bc they hate change. That happens for every single game or anything out there. Change is something different and new and people in general are not happy with change at first. I say NA will receive some kinda of news toward Fall about MS2 and possibly a CBT phase in early 2016. Maybe a spring or summer release of 2016 for NA. As I already explained MapleStory in general is very popular and Nexon NA knows that bringing MS2 over is the last shot they have for keeping business. They be stupid not to bring MS2 over to NA as it will be bad for business. Most people seem to forget that a big chunk of MS1 players came from outside NA, like myself Germany. I havent even touch MS 1 Europe. And I wont even touch it, if Europe get its own MS2 version. So, please release a global server, just like MS1 at launch. @omniscient1 I have to agree with you about maplestory in general, but im gokngg to have to disagree with your points about ms1 and 2. From what i've seen, ms2 has mostly positive reviews, there isnt a lot of negative ones. And as for ms1, its not nearly half as popular as it was pre bb, sp im not keeping my hopes too high, although i do hope it comes out 2016. I have to agree with you with the fact that they would be stupid not to bring it over. @Ching Even so the population of MapleStory is still there. It's still the number one game for Nexon NA. As you stated the popularity for MS1 is dying down a lot now. If They don't bring in a game that can bring that popularity back up the company will take a bit hit in profit. The other games Nexon NA has can not keep hold of the company for very long despite how popular they may seem to be. MapleStory is still there top game and by bringing in MS2 it can shift the population plus bring back old players and new players to the game. It would be something different to try and from the looks of it despite the negative reviews some give it will be a big hit in NA. This would be something to help keep the MapleStory game continuing for years on as well as bring in more profit for the company. That being said It still looks good as a 2016 release. Waiting too much longer while the population in MS1 slowly goes down the drain each day will just dig a bigger hole for Nexon NA to get out of. That's just my opinion though so who knows really. I guess we just need to wait and see. I am sure though NA is already working with KR to bring this game over though as soon as possible. @Omniscient1 Yeah I guess I have agree with all your points, but to be honest, I haven't seen much negative reviews on ms2, and from the ones I have seen, they were just criticizing the fact that it looked like some other games. I really do hope it gets brought over soon, but I try not to get my hopes up, since it just became open beta in Korea. @Amiibo proof? Or you just going by your opinion since MS1 released a few years apart from MS1 in KR? If so please be advise that that was years ago and technology has grown so much from now and then. All mmos have been getting localized very fast after released in original location. That or they are indeed starting global servers. Not saying it's not possible for MS2 to take a much longer time than a 2016 release but to say that it will release in 2017 as a pure fact with out proof to back it up. That's just going to stir unnecessary things up don't you think? Also keep in mind stating facts with out proof to back it up can also make you look weird. Incase for some reason it does indeed release in 2016 then what are you going to say about this post? That's why you should say it's likely to be released in 2017 not that it's going to be released in 2017. When I stated my post I stated that it will most likely release in 2016 incase for some reason it does not release in 2016 you can't hold me accountable. I agree with miyuki. They need create a global server just like they did on MS1. Isn't only north americans that want to play MS2, for example I have many friends that like MS and they want to play the game too but we are South americans... Only a North American edition is something wrong for me, they should do a global one.